Two assailants opened fire at the US Consulate building in Istanbul today, touching off a gunfight with police, Turkish media reports said. 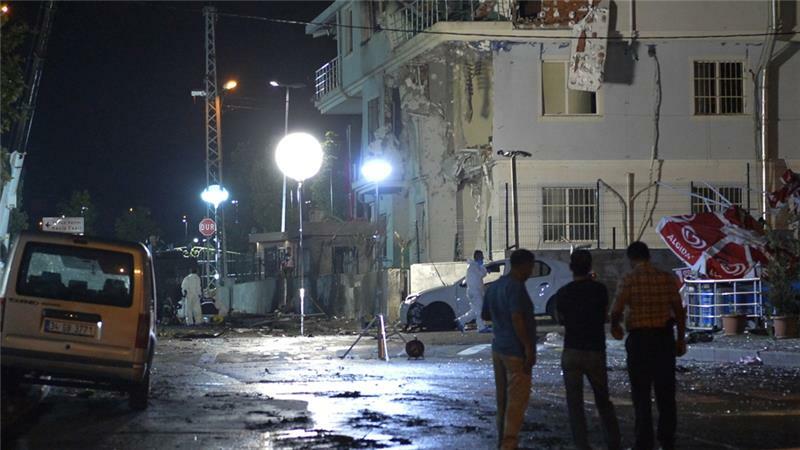 No one was hurt in the attack and the two assailants managed to escape, the private Dogan news agency reported. This came hours after an overnight bomb attack at a police station in Istanbul injured 10 people, including seven police officers, and caused a fire that collapsed part of the three-story building. Both attacks come at a time of a sharp spike in violence between Turkey's security forces and rebels of the Kurdistan Workers' Party, or PKK. Turkey is taking a more active role against Islamic State militants. Last month it conducted aerial strikes against IS positions in Syria and agreed to let the U.S.-led coalition use its bases for its fight against IS. The move followed a suicide bombing blamed on IS which killed 32 people and after IS militants fired at Turkish soldiers from across the border in Syria, killing one soldier.